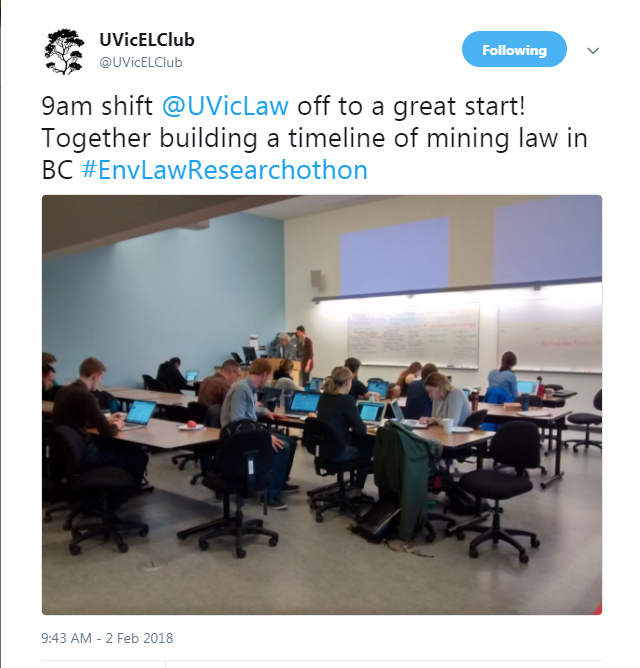 More than 50 law students put their heads together earlier this month to help unearth BC’s mining legislative history. Dubbed, Mining Law in BC – Digging up a Dirty History, the event’s gleanings will help inform mining law reform efforts. The impetus for the topic was the ELC’s three-year partnership project on mining law reform with Mining Watch Canada and the Fair Mining Collaborative. It wasn’t only students who participated in the event. 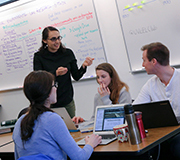 Faculty, staff and local legal professionals dropped in to assist students during the day-long research marathon. Lunchtime panel members, Glenn Grande, Drew Mildon, Andrew Gage, and Deborah Curran, provided some context about the need for mining law reform in BC. 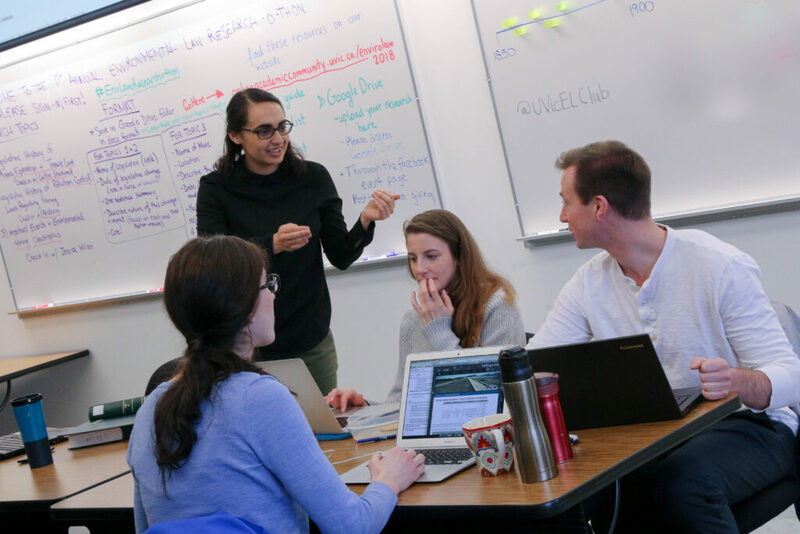 Students at UBC and TRU pitched in with their own satellite events, engaging in related research questions that will add to the final report. 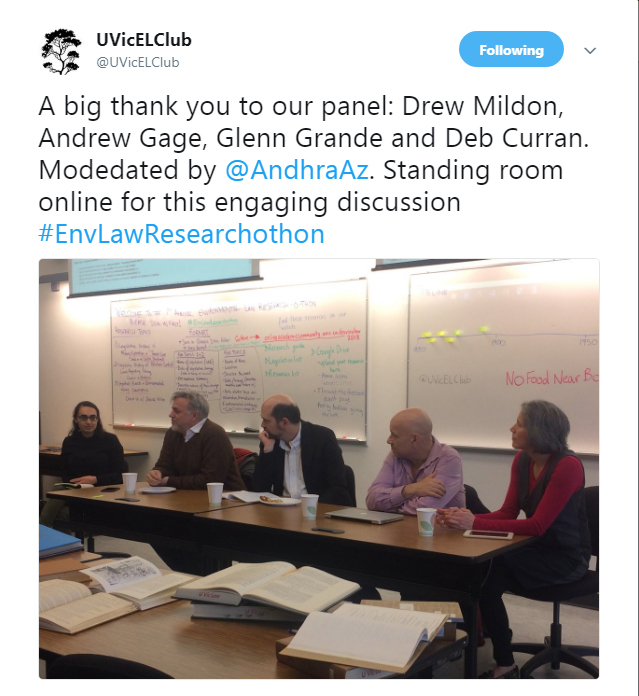 The event was modelled after the 2017 research-a-thon organized by McGill law students to assist the Canadian Council for Refugees. Law librarians and ELC Clinic staff provided support for the student-led event, giving research guidance and assisting with resources. The Law Library even created a resource website. The research will result in a timeline mapping the evolution of laws governing mining in BC and environmentally significant mining events in BC. Tracking the history of prospecting and exploration laws and environmentally significant mining events in BC will help determine whether legislators have been responsive to issues as they arise in mining and to what extent, and at what pace, mining regulations have evolved in the province since the gold rush.